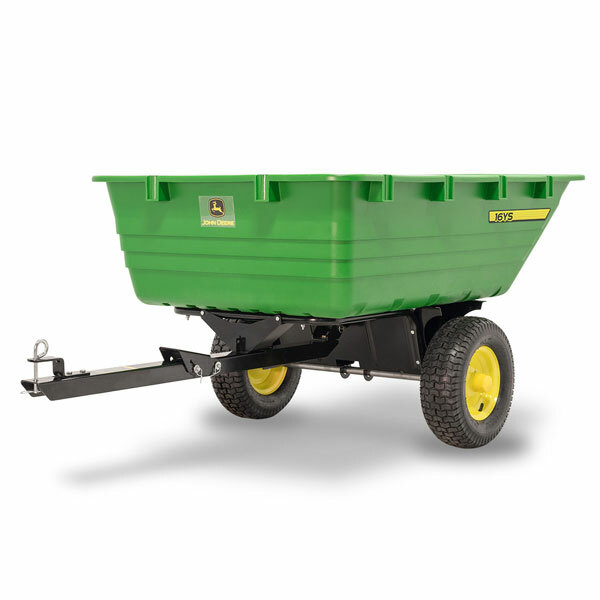 The John Deere 17 Cu Ft Swivel Cart is the only cart in the John Deere line up that will allow you to swivel 120 degrees to either side as you unload. 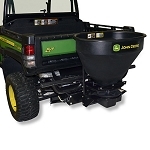 You will be able to simply pull up next to where you want to dump and swivel the cart without needed to back the cart up. 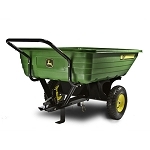 The 800 lbs capacity makes it durable enough for the heavy jobs with out the worry of tearing up your yard. The convenient foot pedal release lets you dump the content without needing to bend or strain yourself. 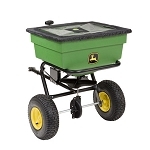 The poly cart has molded stake pockets so you can expand and enlarge the bed size if needed.